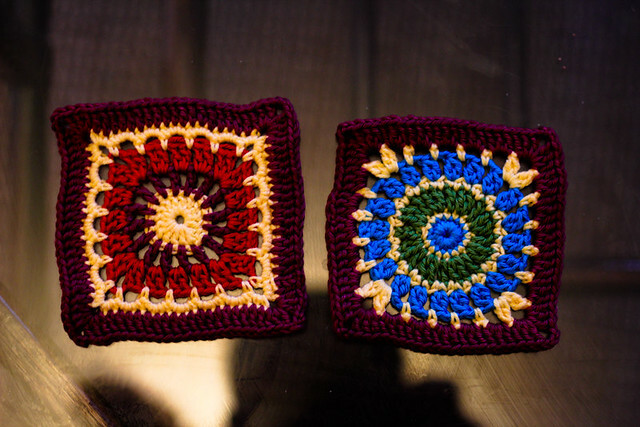 Last week I accidently found a project I immediately wanted to participate in - Beautiful Bloggers Blanket 2012 held by Jill. I think it is really amazing when people from different places and different countries are making something together. And this blanket should trully be unique, containing a little peace from every crocheter who participated in the project. Just imagine snuggling in a blanket that contains from different squares in hundreds of colours that each are telling you the story of their creator. Hope Jill already got them and they will fit nicely into the blanket.